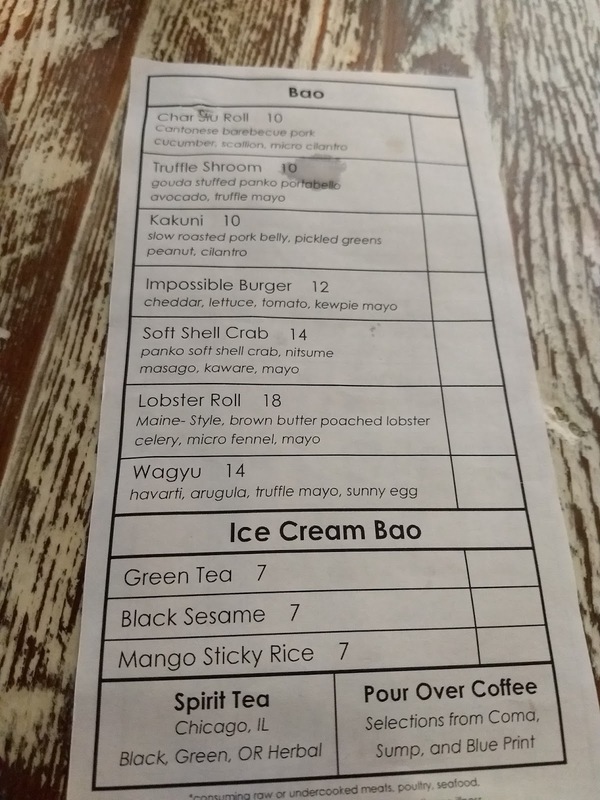 This trip was definitely "a food adventure" as I had no idea what to expect at the new restaurant, Bao. 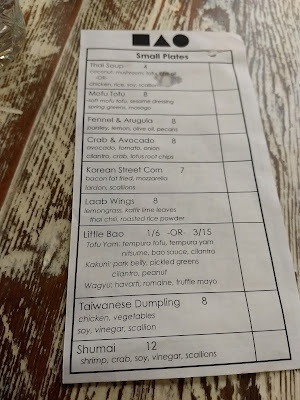 I was a little bit familiar with Korean steamed buns, but these are not in your typical format. Instead, the Korean buns are used in all kinds of ways and I have a feeling that someone had a lot of fun making this menu! 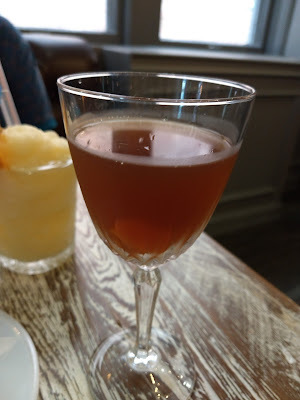 Since we recognized the always-dapper Ben Bauer behind the bar, we immediately went to the cocktail list. Both drink and food menus were printed on long pieces of paper, almost as if you were at a sushi restaurant, but no pencil is necessary. 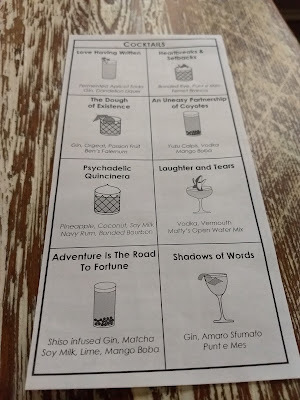 I ordered The Dough of Existence and of course Patience ordered something a little stronger, Shadows of Words, also a gin drink, but with Amarao as well. 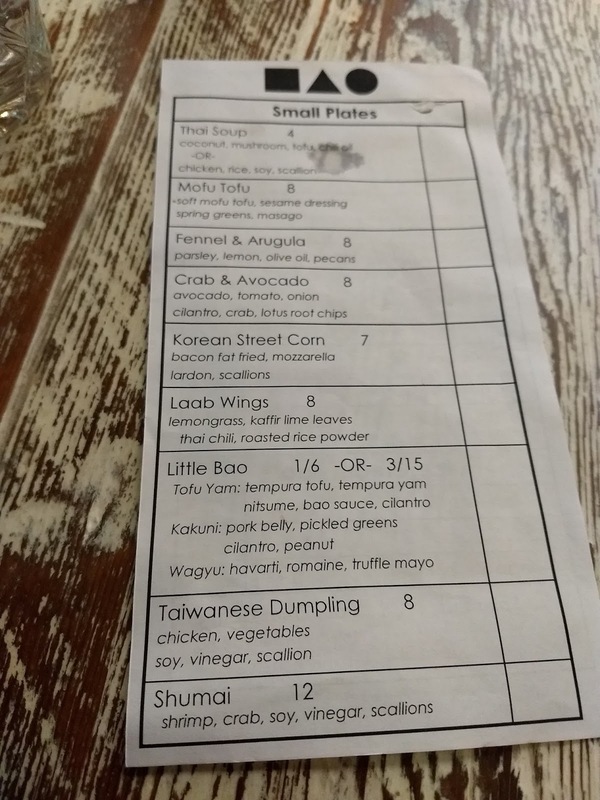 We started out ordering a couple of things from the small plates and one item from the entrees to see if that would be enough. 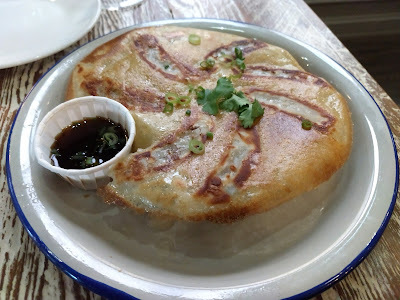 I had to get the Taiwanese Dumpling since I'm a huge fan of dumplings in general and I had never seen this version with it served "upside down" and all connected. It easily breaks apart with a fork and they were amazing. The dumplings were chicken (not pork, yay!) and included vegetables, soy, vinegar, and scallions. 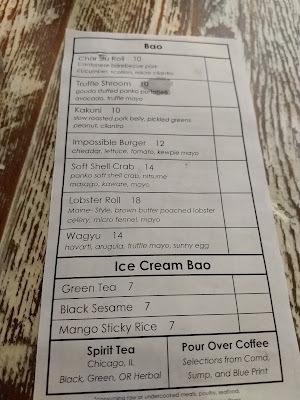 I was most curious about the Little Bao and ordered the Wagyu one...which looks like a baby hamburger! Just adorable! They also come in a tofu and pork version as well. The Wagyu came with havarti, romanie, and truffle mayo. 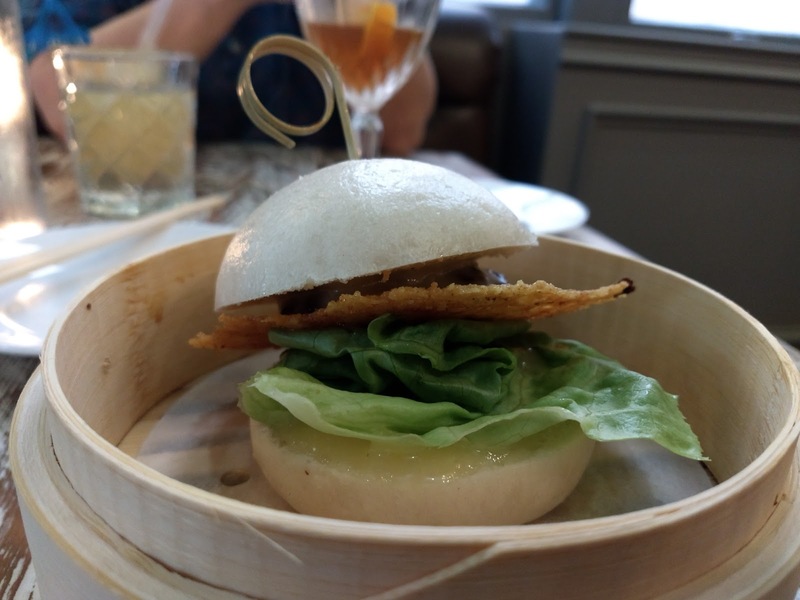 The bao buns were perfect as the "burger" buns! Our main entree was Patience's pick: Lobster roll! A large bao bun was used to hold in the lobster creamy goodness! 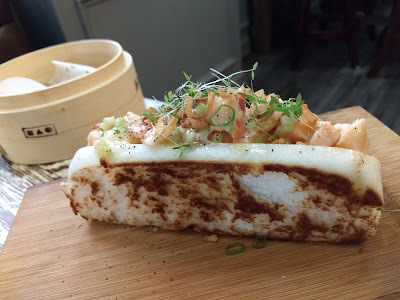 The lobster roll was Maine-style with brown butter, poached lobster, celery, fennel, and mayo. It was hard to share this one as it was the most expensive item. We thought we could each do one more small plate, but since the restaurant got busy, we had to wait a little longer for the second round of dishes, and I wasn't as hungry by then. 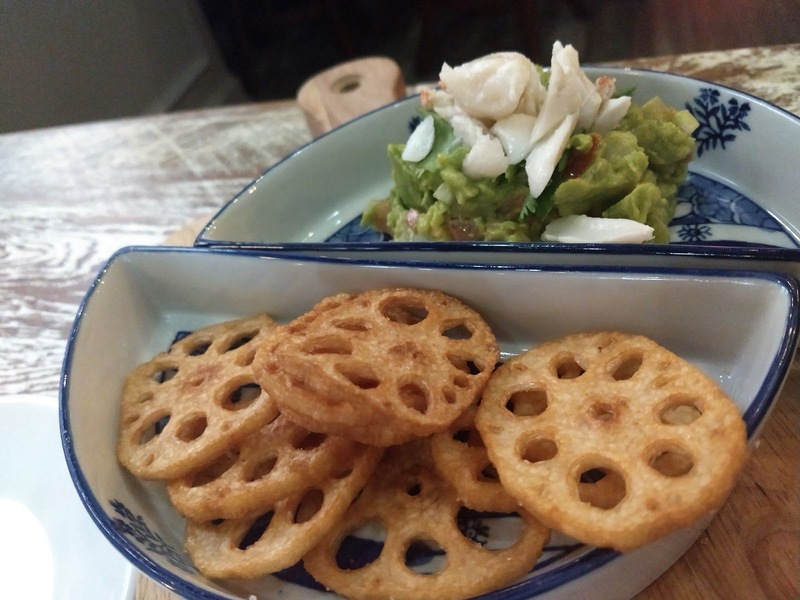 I tried the Crab & Avocado, which was served with cute lotus root chips. 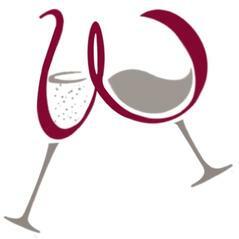 Delicious! Patience wanted to try the Korean Street Corn, which was unfortunately overwhelmed by the mozzarella and smoky bacon fat. Since the ice cream came from Serendipity in Webster Groves, we had to order dessert and we shared the most popular flavor, Mango Sticky Rice. 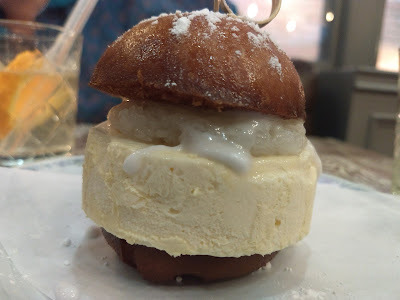 It's just like an ice cream sandwich and a little tricky to eat. 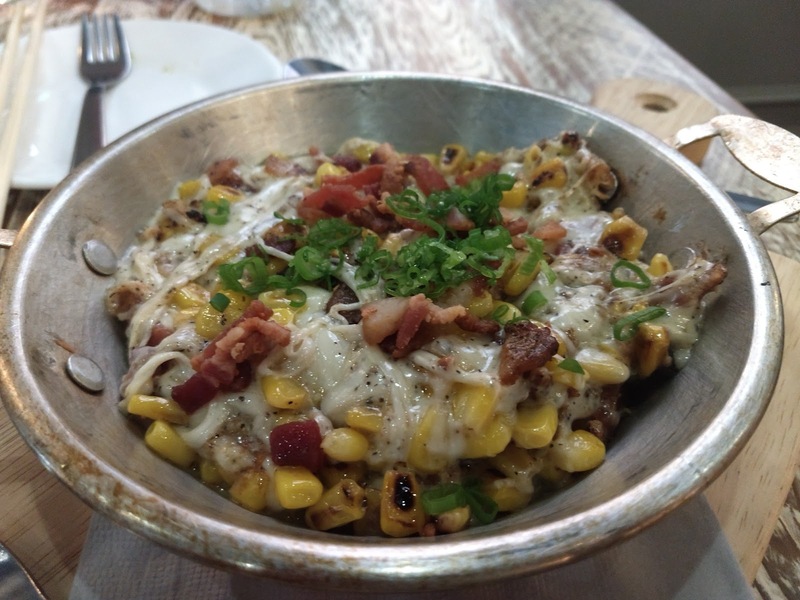 Don't be afraid to get messy with this one! 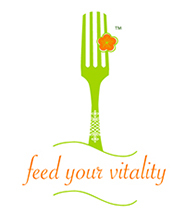 If you enjoy food adventures, be sure to bring some adventurous friends so you can try everything!! 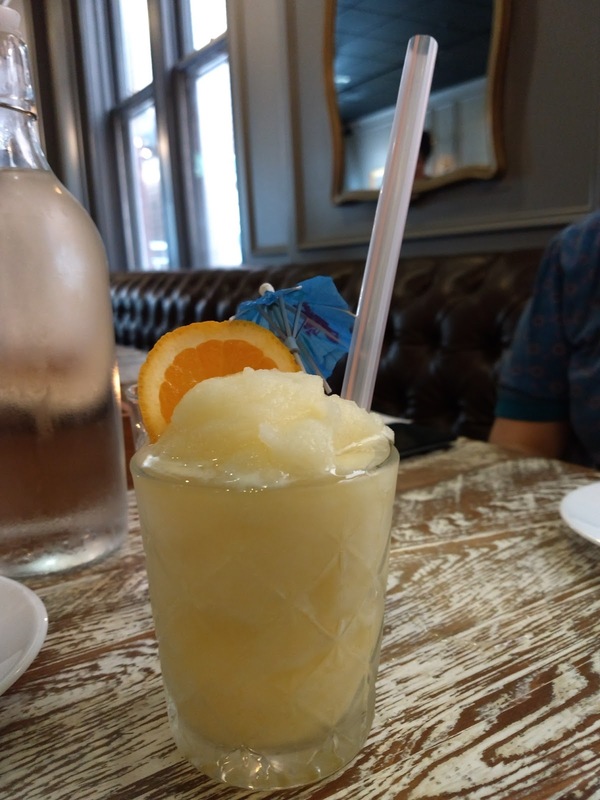 I was really impressed with the chef's creativity and don't be afraid to ask your server questions.